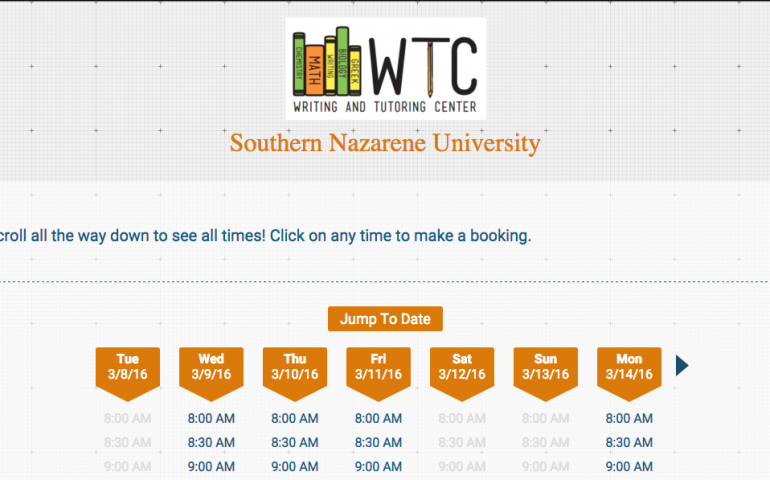 Have you visited our Writing Center yet? It is a great place that offers free revision services for all traditional undergraduate SNU students. If you are a bit confused in what exactly the center does and how to best prepare for your appointment, then read this! The writing center has three writing tutors who are all amazing students. Allen Dunlap is a sophomore theology and ministry major and plans to possibly attend Nazarene Theological Seminary, or become a youth pastor with the hope of being a lead pastor someday. Kaylin Cummings is a sophomore social studies education major planning to become a high school history teacher. Miranda Taylor is a senior English major planning to continue into graduate school to pursue a PhD in English. In other words, they are not there to write your paper for you! Don’t go into the Writing Center expecting them to finish your 20 page paper detailing the evidence found for Beyoncé being the leader of the Illuminati. They are students working just as hard towards their degree. This means there are certain things that must be done when you decide to stop by the writing center or when you book an appointment. Make sure to have some of the finished product at least prepared for the tutors to revise. The tutors would love to see your papers proofread or thought through before you come see them. They want to be able to help you reach your potential and see that you have put some thought into the papers you bring. However, they are willing to help you with any stage of the writing process you are stuck in. Dunlap said, “I am happy to help them in anyway I can. If the student has not really started on the assignment at all, I don’t mind helping them, but it’s not likely that my 30 minute session with them will produce a finished product.” So, to get the best out of your appointment, have at least a rough draft. Also, don’t wait until the last minute to have your papers revised. The most stressful time of the year for the writing tutors is during midterms and finals week. They are all booked! Sadly, if you are a procrastinator like me, finishing a paper before it’s due seems impossible. However, maybe knowing how jam packed these tutors are will motivate you to finish the paper early, so you are able to make an appointment with the tutors before rush hour! You will thank yourself for seeing these intelligent individuals. Do yourself a favor and schedule an appointment with the writing center today! Next PostDo You Qualify for SNU Mortar Board?